Sara Hotchkiss, who lives in Waldoboro and runs a weaving studio, is one of almost 70,000 Mainers who are being denied access to health care by Governor Paul LePage. Gail MacLean is one of 70,000 Mainers who are being denied health care coverage by Governor Paul LePage. Without access to health care, Gail fears that she could lose everything if she suffers another injury. If you, or someone you love, has a similar story to Gail's click here. 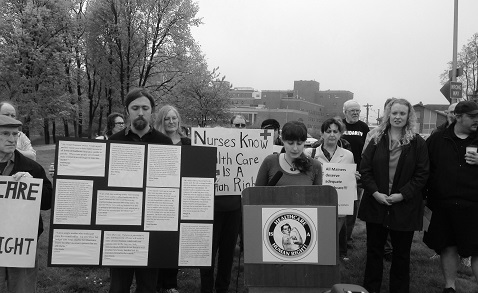 MPA health care organizer Jennie Pirkl has an important update about our campaign to expand health care in Maine, and what you can do to help. 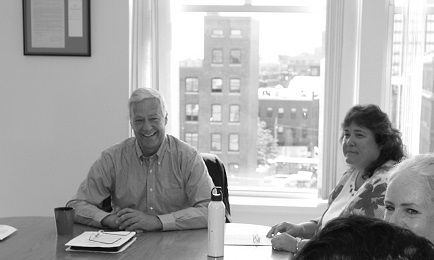 Maine’s state motto is Dirigo, meaning “I Lead.” For many years, Maine had lived up to our motto in the arena of health care reform. We have one of the nation’s lowest percentages of uninsured residents and we have traditionally had stronger consumer protections than most other states. This session, Governor Paul LePage and Republicans in the Legislature voted against accepting federal health care funds, effectively denying care to 70,000 Maine people. 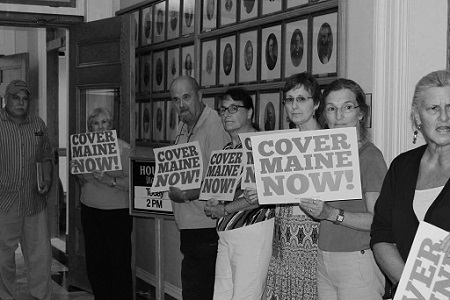 Last night, the House of Representatives failed by two votes to override the Governor’s veto of LD 1066, a bill to allow Maine to accept federal funds to provide health insurance for 70,000 Mainers. Maine People's Alliance health care organizer Jennie Pirkl issued a word of warning to two Republican lawmakers who had previously voted for the bill but switched their votes when it mattered most. Accepting federal health care funds actually saves Maine $690 million over the next ten years while covering 69,500 more Mainers and creating 3,100 jobs. Please enter your address in the form below to email your legislators and ask them to vote in favor of accepting federal health care funds. It takes just 30 seconds and their votes will be critical. Mainers without health coverage and others who have been failed by Maine's health care system joined representatives from community, labor and health care organizations at press conferences in both Portland and Bangor today to help launch a new grassroots campaign that will work towards a health care system based on the recognition that health care is a human right.